[1.6.4][SMP] John V3.2 -Revived- Mega Giant John & Baby John Jr. New! Drops a new Gem "Immortality Gem"
TERMS AND CONDITIONS0. USED TERMSMOD - modification, plugin, a piece of software that interfaces with the Minecraft client to extend, add, change or remove original capabilities.MOJANG - Mojang ABOWNER - , Original author(s) of the MOD. Under the copyright terms accepted when purchasing Minecraft (http://www.minecraft.net/copyright.jsp) the OWNER has full rights over their MOD despite use of MOJANG code.USER - End user of the mod, person installing the mod.1. LIABILITYTHIS MOD IS PROVIDED 'AS IS' WITH NO WARRANTIES, IMPLIED OR OTHERWISE. THE OWNER OF THIS MOD TAKES NO RESPONSIBILITY FOR ANY DAMAGES INCURRED FROM THE USE OF THIS MOD. 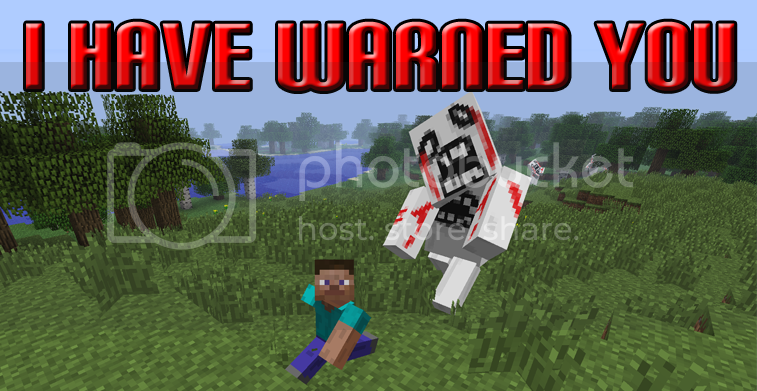 THIS MOD ALTERS FUNDAMENTAL PARTS OF THE MINECRAFT GAME, PARTS OF MINECRAFT MAY NOT WORK WITH THIS MOD INSTALLED. ALL DAMAGES CAUSED FROM THE USE OR MISUSE OF THIS MOD FALL ON THE USER.2. USEUse of this MOD to be installed, manually or automatically, is given to the USER without restriction.3. REDISTRIBUTIONThis MOD may only be distributed where uploaded, mirrored, or otherwise linked to by the OWNER solely. All mirrors of this mod must have advance written permission from the OWNER. ANY attempts to make money off of this MOD (selling, selling modified versions, adfly, sharecash, etc.) are STRICTLY FORBIDDEN, and the OWNER may claim damages or take other action to rectify the situation.4. DERIVATIVE WORKS/MODIFICATIONThis mod is provided freely and may be decompiled and modified for private use, either with a decompiler or a bytecode editor. Public distribution of modified versions of this MOD require advance written permission of the OWNER and may be subject to certain terms. YYYAAAYYY!!! I've been wanting this to update, but I didn't think my favourite youtuber would be updating it! Nah, but really. This is epic. But why don't you create your OWN original mod, instead of reviving old mods? 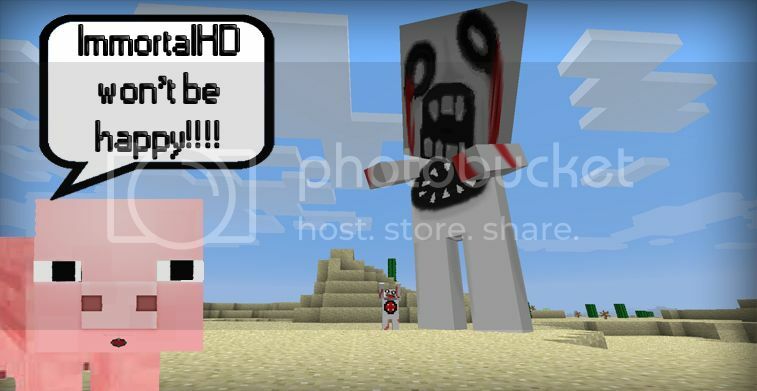 He should make the SCMowns mod, it would add SCMowns ore, Porkchop, SCMowns mob, SCMowns dimension, SCMowns block, SCMowns trees, and more! It would be the SCmowns mod! It would be AWESOME! Nice. Perhaps its a screwed-up Herobrine? Still, pretty scary, but looks fun. I am working on my OWN mod, this mod was reborned becuase ImmoralHD asked if i can do so. so i reborned another mod. funny! My next mod is SCMowns Mod, You guessed it! I see SCMowns all over the minecraft forum LOL. You can't license someone elses code as your own.. You say you coded the whole thing from scratch then your video shows all you did with the code was rip off and modify the original lol? You changed maybe 10% at most. And are you ever going to actually tell me why I'm banned from your server for "many reasons"? i recoded From Scratch stucking, the size is different, the item drop is different, And i made a video showing from start to finish stucking. Before you go off saying i did only a 10% change you should at least look at your facts. watch my video Bro. He looks slightly creepier mainly because he's lopsided. All the standard Minecraft mobs are kinda symmetrical, except maybe the zombie pigmen, but they still have an even shape despite their texture. It rather makes the regular mobs start looking a bit like they're in the Uncanny Valley, looking slightly TOO perfectly symmetrical in shape when John's around. cool i guess thats good enough..so what is your texture pack?? can i download it? Well it is not all done yet, but the terrain file is, as well as a few items. I usually draw a new item on the bus home from school. It's called BoSCraft, but I haven't uploaded it yet. But I guess we can share the terrain file. My friend SigveSS made 95% of it. I think you should be able to right click it and save it. If not I'll provide a better way.